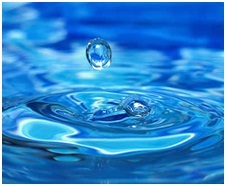 Water is easily accessible in most parts of the globe, in every household. Perhaps because it is cheaper and most plentiful than any other beverage, it is easy for us to overlook its tremendous importance. Water is necessary for the human body to function property. It plays many more roles than what we normally realize, such as helping us to exhale, stabilizing our body temperature, humidifying the air to help our breathing, eliminating toxins and waste from our bodies, and many other vital functions. How much water does our body need everyday? We need 2 to 2.5 liters of water per day to fully satisfy the physiological needs of the body. The water in our bodies must be continuously replenished. On average, our bodies lose 600ml of water daily through breathing, 500ml through our skin, and 1400ml through urination. About 2500ml of water is necessary for every day of your life. We take in approx. 500ml of water daily through food, but we still need 2000ml more, which we can only get by drinking water.